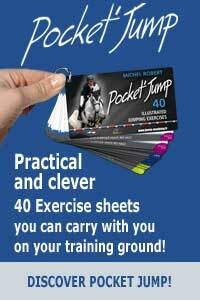 Recommended for horses who hesitate to take the contact as it encourages them to come on the bit and use their top line. It is particularly recommended for horses who hesitate to take the contact as it encourages them to come on the bit and use their top line. 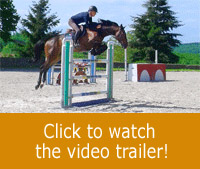 It allows horses to be freer in their movements when jumping by allowing them to stretch their neck on the take-off stride and in the air. The length and strength of the elastic were designed by Michel to promote the maximum comfort for the horse, while optimizing the rider’s action. The feeling of lightness that the rider will feel in his hand, is very pleasant.